Use along side the Powerpoint i have uploaded or on its own. 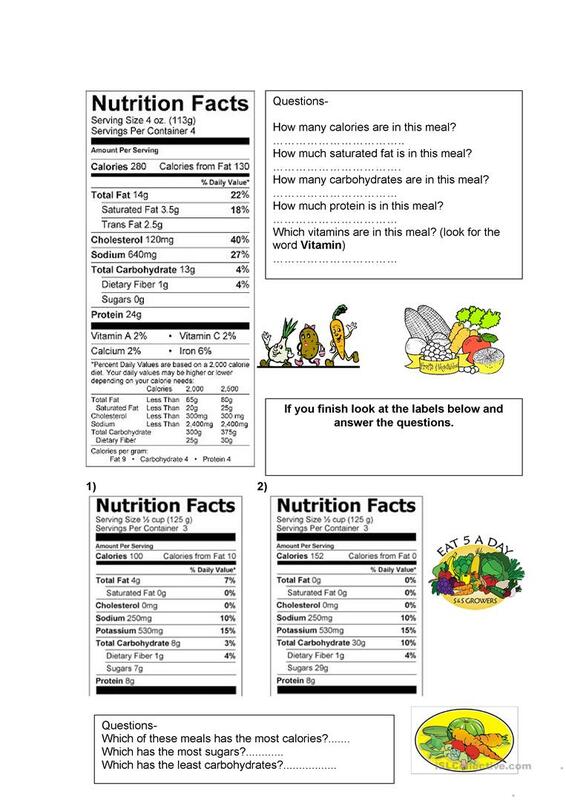 This worksheet is about healthy eating info, calories, etc found on food packets. The present downloadable teaching material is intended for adults at Beginner (pre-A1) and Elementary (A1) level. It is excellent for working on your pupils' Reading and Writing skills. It focuses on the theme of Health, going to the doctor.